UNCENSORED! 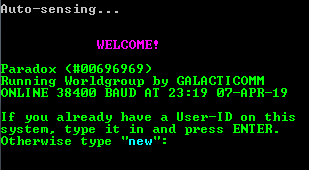 is a legendary free speech BBS, online since 1988. We have a friendly environment that emphasized a real “folksy” online conversation place, NOT files. There’s quite a wacky and unique crowd here. Join us onine and have some fun!